Step into your local gardening store, and you'll be awed by the sheer number of grass seed types sitting on the shelf. Choosing the right variety of grass is vital in growing that Perfect Lawn - the wrong variety will grow poorly or not at all. Rather than leave you wandering the aisles helplessly, we've assembled a list of questions to ask yourself before you plunk your money down for a big bag of seed. What is my climate like? Grass species are generally divided into cool-season grasses and warm-season grasses. If you live in the southern part of the US, choose a warm-season grass such as Bermuda, Bahia, Centipede or Carpet Grass. If you're in the northern states, you'll want to stick with a cool-season variety like Kentucky Bluegrass, Fescue or Ryegrass. What am I going to use the lawn for? If you're just planning to sit back and look at the lawn, you can select a more delicate species of grass, like Rough-Stalk Bluegrass. If you have active kids who will be tearing back and forth across the lawn all day long, you'll want a tougher variety like Bermuda - or perhaps a playground mix is the best choice for you. 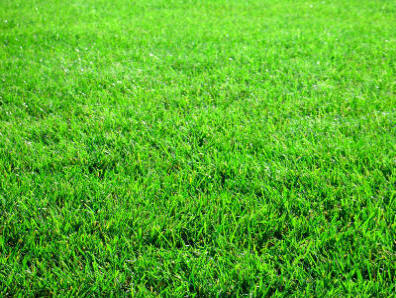 Good choices for a moderately durable lawn are Kentucky Bluegrass and Ryegrass. How often am I going to mow the lawn? Consider just how close-mown a lawn you'd like and, more importantly, if you're ready to put in the mowing time it takes for a really short, neat lawn. Once you've decided on the ideal height for your lawn, bring that to bear on your choice of grass seed. Some grasses don't mind being mown very short, like Carpet Grass, Creeping Bent Grass and Kentucky Bluegrass. Others will sulk if you mow them too often – Bermuda and Creeping Fescue, for example. Scoop up a handful of soil from your front yard and squeeze it in your hand, then open your hand and look at the soil on your palm. If it just sits there in a clump, even after you poke it lightly, you have heavy, clay soil; Creeping Fescue or Rough-Stalk Bluegrass are good choices. If it instantly disintegrates, you have light, sandy soil; Bahia or Zoysia will grow well in this soil type. If it stays more or less intact, but a light poke breaks it into smaller pieces, you have loamy soil and you can grow pretty much any variety! How much sun will my lawn get? Step outside and look at your lawn at different times of the day. Are there areas that are constantly in the shade from trees, fences, or your house? If so, you'll want a grass that doesn't mind shade, like St. Augustine or one of the Fescues. Varieties to avoid when planting in shady areas are Bermuda and Annual Ryegrass. Do I have any watering restrictions? If you live in an area that suffers frequent drought, look for a grass type that is more tolerant of occasional shortages. Bermuda and Fescue can both tolerate brief droughts, while Carpet Grass and Annual Ryegrass will suffer without a regular water supply. How much time am I willing to spend on weeding? Some varieties of grass are quite aggressive and will choke out weeds on their own, saving you the effort. Other grasses will not compete well against weeds and will need a little more attention and hand-holding from you. Bermuda and Creeping Fescue tend to out-compete weeds thanks to their fast growth and relatively deep roots, while Creeping Bent Grass (commonly found on golf courses) will need considerably more attention. As a side note, if you let your grass grow to about 3" it will be much more successful at defeating weeds on its own then if you maintain a shorter lawn. Taller grass will shade out young weeds and deny them the sunlight they need to grow.